In Vikram Rao’s March 31st post entitled “Bear Trap” he examines the potential influence of the U.S. over geopolitics in Eastern Europe if the U.S. were to leverage its Strategic Petroleum Reserve or theoretical LNG exports. If reducing Eastern Europe’s dependence on Russian gas is the objective, then it is worth considering the possibility of developing American-style shale gas and oil production in Poland and Ukraine, particularly as doing so could represent an opportunity to export American equipment, technology and know-how while simultaneously pursuing geopolitical objectives. Both Poland and Ukraine have significant recoverable shale resources: Poland has 148 trillion cubic feet of shale gas and 1.8 billion barrels of shale oil, while Ukraine has 128 trillion cubic feet of shale gas and 1.2 billion barrels of shale oil (for frame of reference, this gives each country about 11-15% of U.S. shale gas reserves, and about 2-4% of U.S. shale oil reserves). Domestic shale gas would provide Ukraine with 65 years’ worth and Poland with over 250 years’ worth of gas at their current rates of consumption. This is a significant amount given that two-thirds’ of Ukraine’s consumed gas and about half of Poland’s consumed gas is imported from Russia. At the recent American Association of Petroleum Geologists annual conference, I had the opportunity to discuss shale drilling and fracking (i.e. hydraulic fracturing) in Eastern Europe with members of the Polish Geological Institute. To date, about 60 wells have been drilled in Poland, about 20 of which have been fracked. All of these wells have been exploration wells, meaning that no gas is currently being produced commercially from shale reservoirs. Though Poland has had some success exploring along the Baltic coast, results to date have mostly been disappointing. Companies attempting to hydraulically fracture shale reservoirs in Poland have not had the same success as they have had in the U.S. The most obvious reason why not is that the geology in Poland is simply more complicated; reservoirs are typically 3-5 km (~2-3 miles) deep rather than the 1-3 km depth of U.S. shale beds such as the Permian basin in west Texas and the Marcellus in Pennsylvania. The Polish basins are not only deeper, but they are also thinner, with pay zones often no more than 10 meters thick, as compared to the 50 meters or more that is often be found in U.S. shale basins. 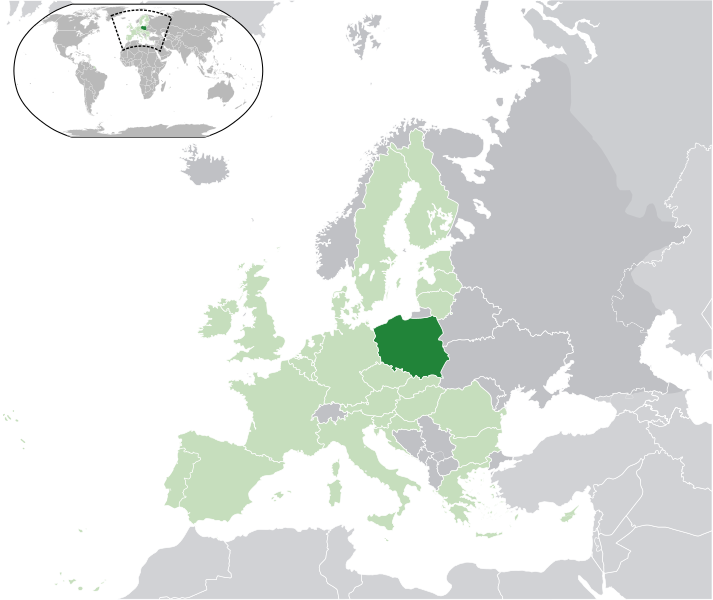 As with most of Europe but unlike North America, mineral rights in Poland and Ukraine are by default owned by the state rather than the land owner. In Europe when farmland is drilled and gas is produced, instead of farmers getting royalty payments and local municipalities getting increased budgets, regional or federal bureaucrats would manage the royalty income from the energy companies. Such a structure is less conducive to farmers and communities inviting in drilling and production operations as happens in parts of the U.S. Though this appears to be an impediment to scaled shale gas production, there are other incentives that could mitigate the lack of mineral rights. For one, politicians in Poland are primarily interested in job creation (in this way they have a lot in common with our local politicians), and much influence in Eastern Europe is local in nature – a land owner whose land is drilled on will no doubt be able to secure good jobs for his extended family and friends given all of the construction, transportation, and service work required to drill and produce gas from the land. Though the state owns mineral rights, land lease agreements would still be required to drill and travel on private land, and so payments can be arranged through these agreements in lieu of America-style mineral leases. Also, a member of the Polish Geological Institute advised me not to underestimate the seriousness with which Poles take energy security and the collective desire to find a way to produce their own gas in order to reduce reliance on Russia. Here in the U.S. we talk about energy security as an abstract concept, but in Eastern Europe energy security is personal. What seems to currently be lacking most in Eastern European shale gas exploration drilling is the intuition around how to best drill and complete the wells. So far, replicating American wells has not worked, but then again it took many years to improve U.S. shale drilling and fracking to the point of economic viability, and the process is far from perfected. Optimizing well drilling and completion of shale reservoirs is a process of trial and error that has not had a chance to play out yet in Eastern Europe. Even if a drilling company cracks the code of Eastern European shale, Russia will still be able to influence whether commercially viable quantities are ever produced. Russia can easily drop gas prices below the economic break-even point for domestic producers and, if need be, is probably patient enough to do so for as long as it takes for the international oil companies to lose interest. It is also conceivable (or in a more cynical perspective, likely) that Russia could make life hard for any energy or oilfield services company involved in the production of European shale gas who also has ongoing business in Russia’s vast oil & gas sector, though this will certainly not deter small players who have no active business in Russia. Given a concerted effort by Poland or Ukraine, it is only a matter of time, effort, money and thought before the drilling and oilfield services companies figure out the right combination of geological analysis, drilling, and well completion techniques required to economically produce gas from Eastern European shale. But that is a lot of “ifs”, and so there is no guarantee that Poland or Ukraine will ever produce geopolitically meaningful quantities of domestic gas. You are currently browsing the Guest Blog category at Research Triangle Energy Consortium.